New traffic signs have now been erected on Taylor Bay Road, directing ferry traffic that cannot join the line-up at the regular turn-around point to continue to the junction with Ivory Way (the campground entrance) where the gravel area has now been cleared and levelled to allow U-turns. There are also signs on the narrow section where Taylor Bay Road crosses Mallett Creek, reminding drivers not to queue along this short section. 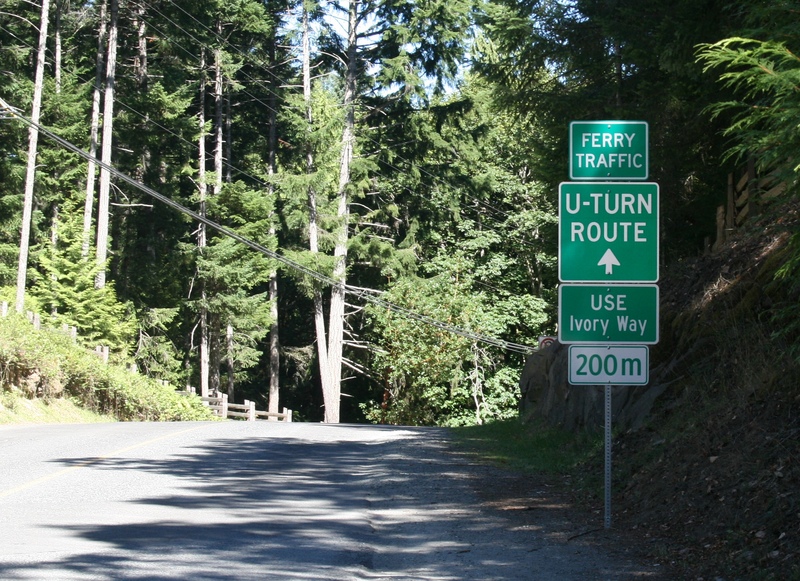 The Ferry Advisory Committee welcomes these new signs as an important reminder of how hazardous this length of road can be if drivers make U-turns close to a blind corner. Now it’s up to Gabriolans to lead by example.